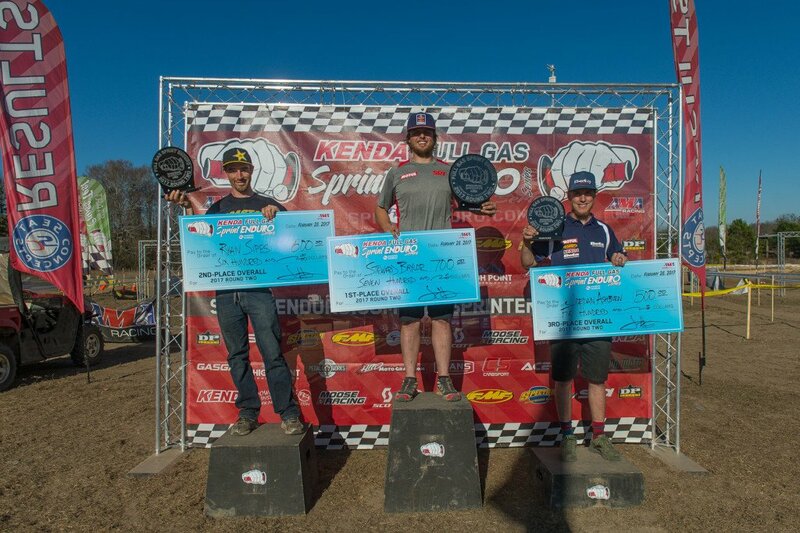 SRT Racing KTM’s Steward Baylor Jr. grabbed his first win in the Kenda Full Gas Sprint Enduro Series presented by PRI Powersports Insurance with an impressive performance at round two of the series held this weekend at Echeconnee MX facility near Lizella, Georgia. 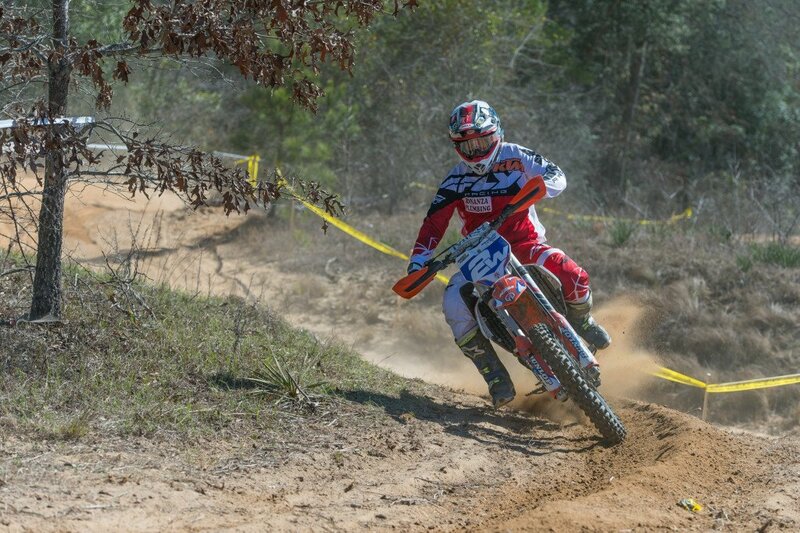 Baylor turned the tables on round one winner Ryan Sipes, beating the Coastal Racing Husqvarna rider by a little more than 10 seconds after an exciting and hard fought battle that closely mirrored that of the opening round, which was won by Sipes. And just as he did at round one, Sipes won all six of the Cross Tests. 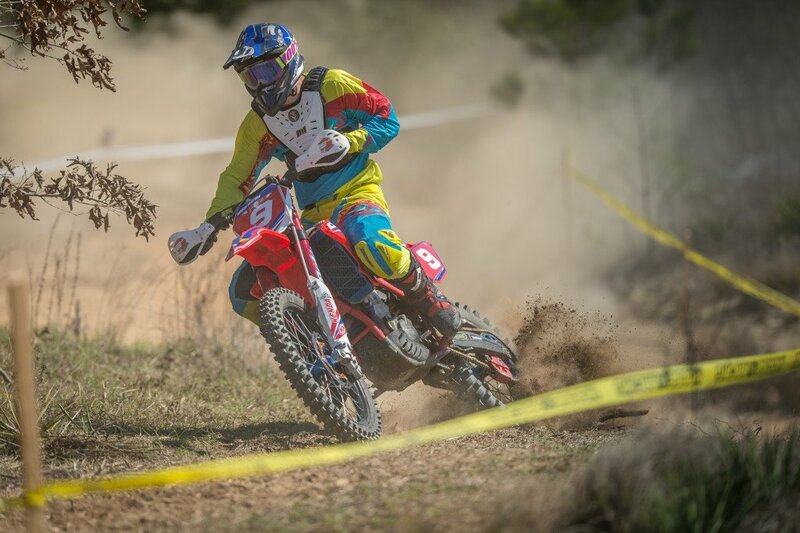 Meanwhile Baylor duplicated his performance at the opening round by winning all six of the Enduro tests. However, this time Baylor managed to gain more ground on Sipes in the Enduro tests than Sipes gain on him in the Cross tests, giving the South Carolina rider the “W”. Sipes held the lead at the end of the first day of racing, leading Baylor by approximately 12 seconds after six tests, though he had a bit of an advantage since the Enduro test became un-passable late in the day due to a deep mud hole, and the organizers had to abandon the test at the end of the day, which meant the riders had to ride the Cross test four times and the Enduro test just twice. The Enduro test was re-routed for Sunday and to even things out, the riders took to the Enduro test four times and the Cross test just twice. After the win, Baylor announced he has decided to ride the entire Full Gas Sprint Enduro series thanks to the help of PRI Powersports Insurance, which is also a sponsor of the series. 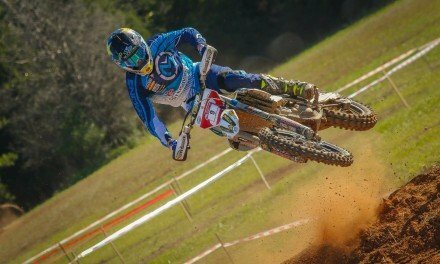 Sipes went into Sunday’s race with a 12-second cushion, but lost it all when he missed a marker in the opening test of the day – the Enduro test – where the course had been re-routed. “I didn’t get to walk the newest part of the track because they were still marking it when it was time to start getting ready for the race, but it was kind of my fault because there was a banner there, and I’m really not reading banner, I’m reading trail,” said Sipes. “I ran through the banner and once I realized what I had done I had to turn around, and the entire lead I built up yesterday was gone in the first test. 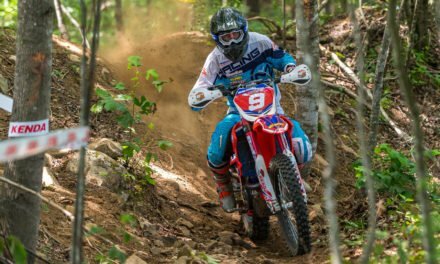 The battle for third was just as intense as Colorado’s Ian Blythe and Beta USA rider Jordan Ashburn finished Saturday’s racing separated by just three seconds with Blythe, the 2016 Brazilian off-road champ, holding the slight edge. However, Ashburn picked up the pace on Sunday and wound up edging Blythe for third by 10 seconds. Blythe finished the day in fourth, nine second ahead of another good battle between SRT Racing’s Cory Buttrick and KR4 Arrive-n-Ride Husqvarna’s Jergen Borjesson of Sweden. Borjesson held the lead by three seconds after day one, but Buttrick came back strong on Sunday moving ahead of the Swede in the final test of the day. 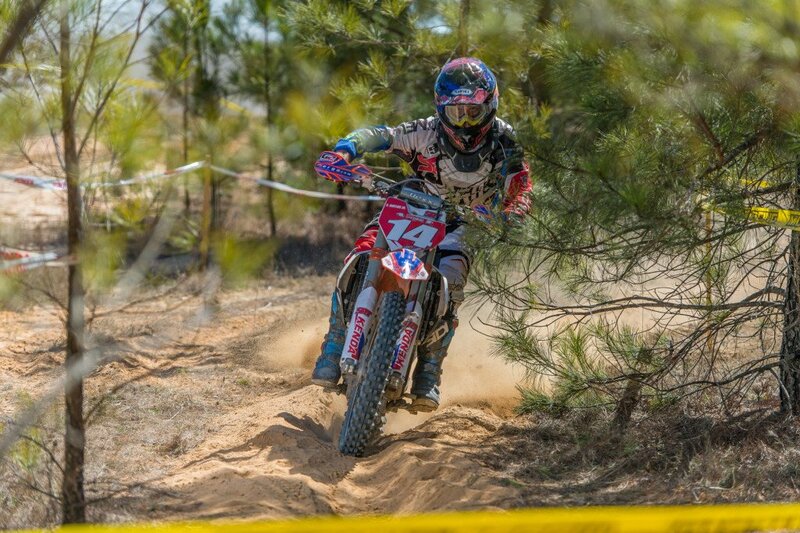 Borjesson is riding a 250 in the series to prepare for the Lites class in GNCC competition. 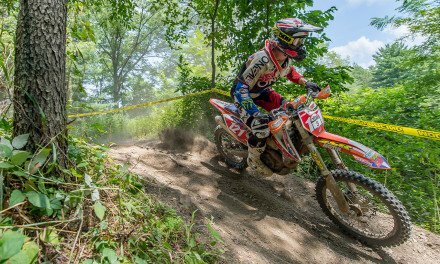 RPM Racing’s Chris Bach put his KTM into seventh for the weekend, finishing 21 seconds ahead of Beta USA’s Drew Higgins, who turned in one of his best finishes in the series to date with an eighth. 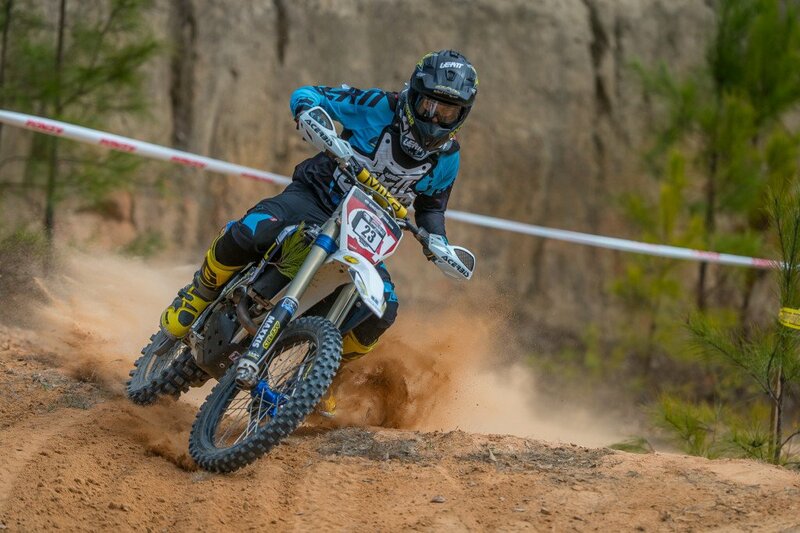 Ninth went to Coastal Racing Husqvarna’s Craig Delong, while Tegan Temple capitalized on a third in test four on Saturday (the Enduro test) to round out the top 10 for the weekend. After two rounds, Sipes leads the series standings with 115 points, followed by Baylor with 105 and Ashburn with 76. 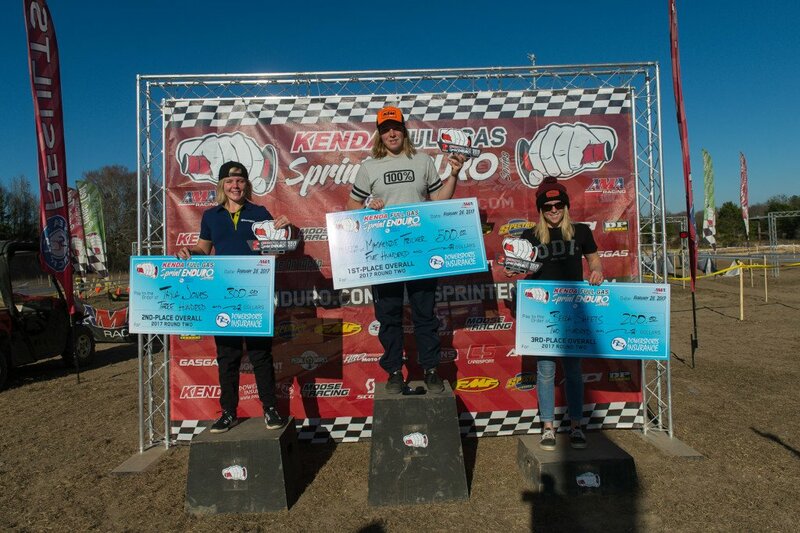 Bonanza Plumbing KTM’s Mackenzie Tricker won the Women’s Pro class after winning six tests on Saturday and two tests on Sunday, topping round one winner and fellow Australian Tayla Jones on her KR4 Arrive-n-Ride Husqvarna by 29 seconds. Mackenzie Tricker took the Women’s Pro Overall. Jones won four tests on Sunday but it was not enough to dig her out of the hole she dug for herself on Saturday. 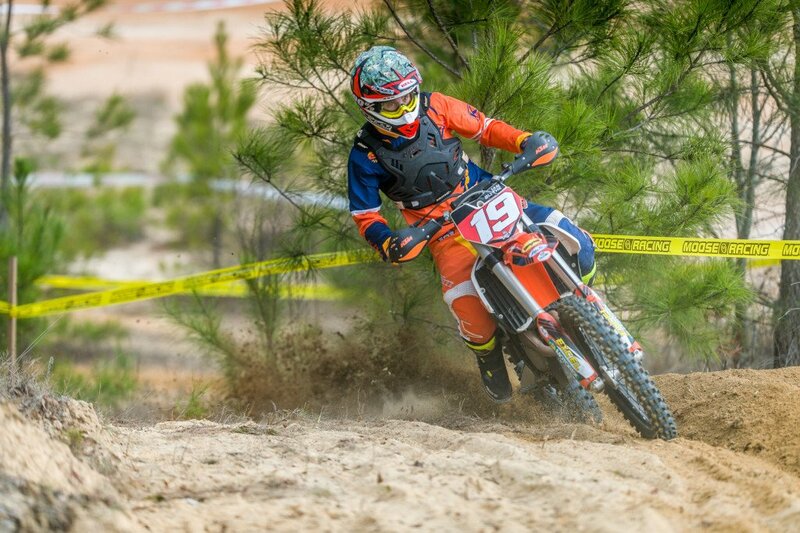 FMF KTM’s Becca Sheets rounded out the podium, finishing the weekend about four-and-a-half minutes behind Jones. Zac Brown took top Amateur honors and first place in the Open A division with a 17th overall finish, while Billy Schlag was second Amateur (second Open A) in 19th overall. Jacob Rowland rounded out the top three Amateurs in 20th overall and third in the Open A division. Cole Mattison topped the Lites A division with a 21st overall finish. 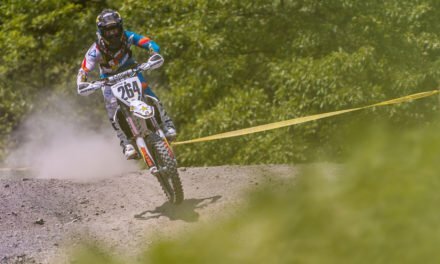 The Kenda Full Gas Sprint Enduro Series presented by PRI Powersports Insurance resumes action in Bristol, Virginia at Harlewood on April 1-2. For more information go to sprintenduro.com.